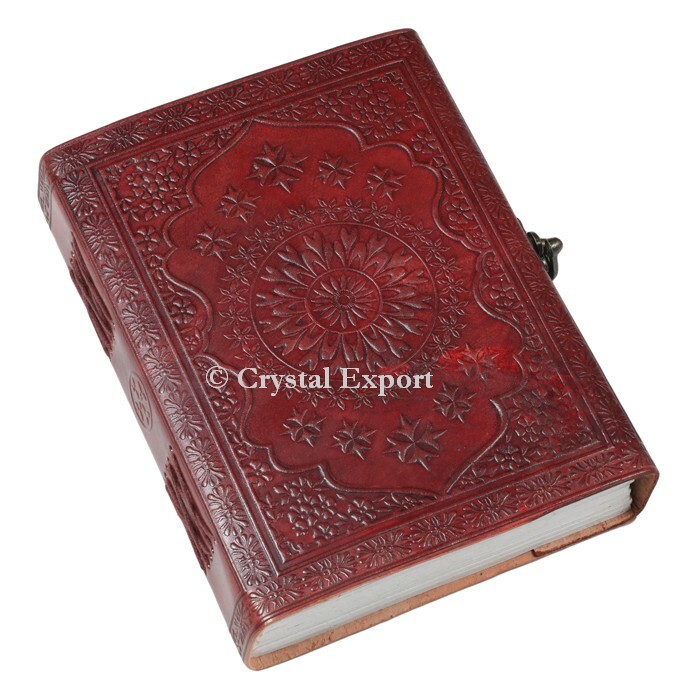 Dark Red Hand made Leather Diary with unlined handcrafted cotton paper, ideal for catching your thoughts or masterful representations. The dark red leather spread is emblazoned with a scene of two wolves among evergreens wailing at a sickle moon in a starry sky. It has Numbers of plain sheets plenty to write down any notes, every day plans, unpleasant sketch or thoughts for your book, novel or projectile diary. It includes carefully assembled locking Design which is delightful so not any more hunting down one to begin writing in this flawless diary. Order Online at Crystal Export.